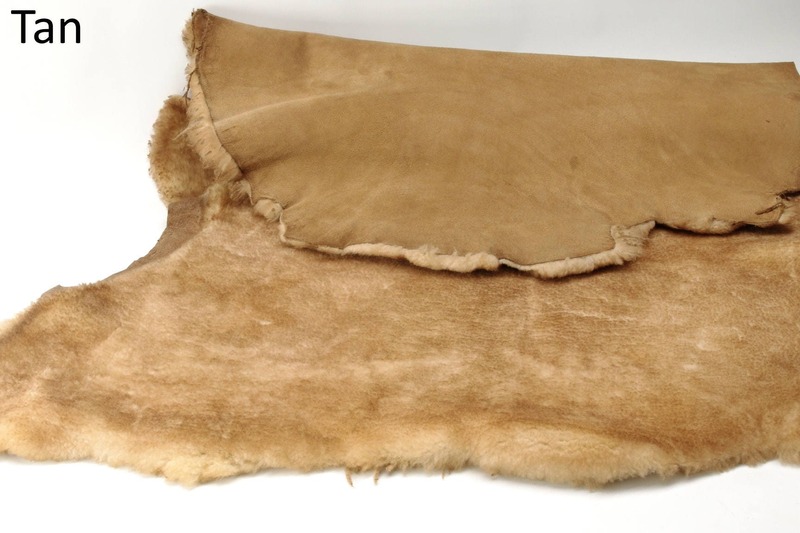 This is the Sheepskin Shearling I use to make my Slippers. 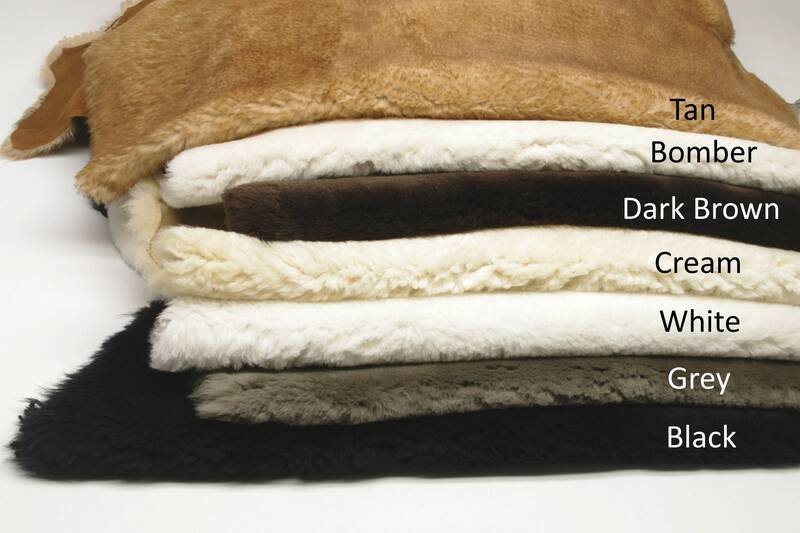 The fur is amazingly thick and soft and the suede is strong; these are the best quality shearlings available. 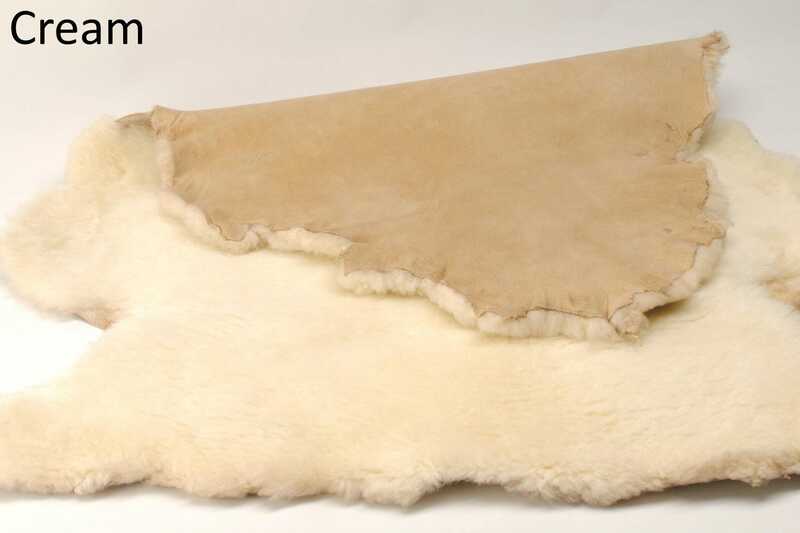 My sheepskin typically comes from Australia and New Zealand, home to some of the best sheep in the world. -Approximate dimensions are shown in the 2nd picture. 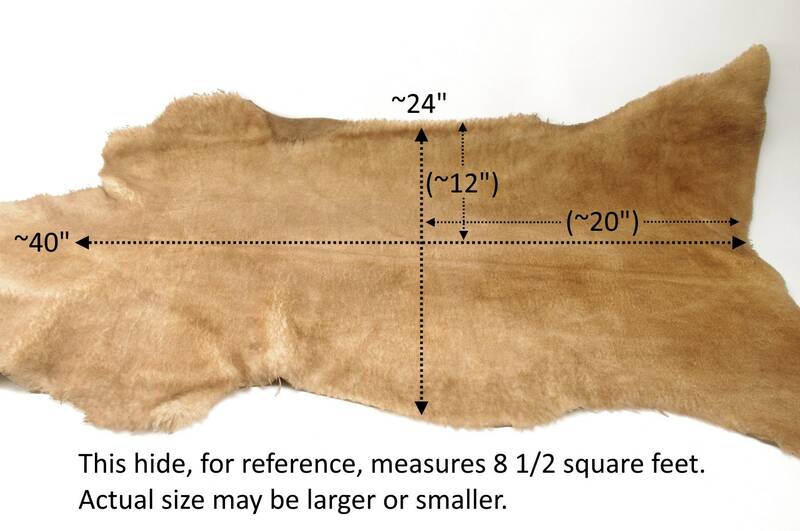 This shows an average hide, so your hide may be a little larger or smaller. 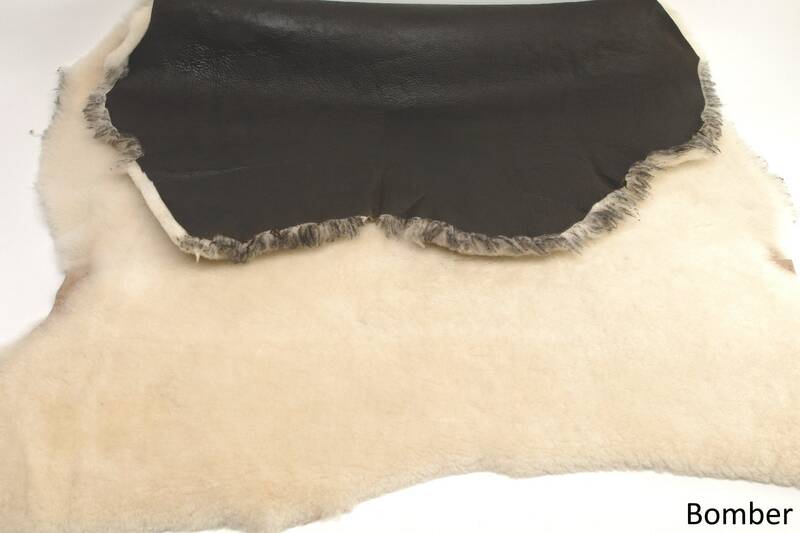 -TAN has beautiful dark highlights and a soft suede back. -BOMBER is a beautiful cream color with a smooth, dark back. 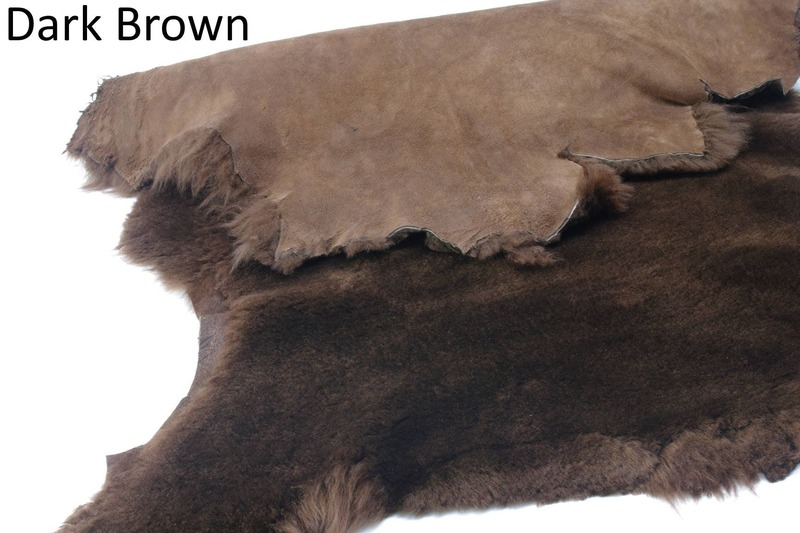 -DARK BROWN has dark fur with a soft suede back that is a shade lighter. 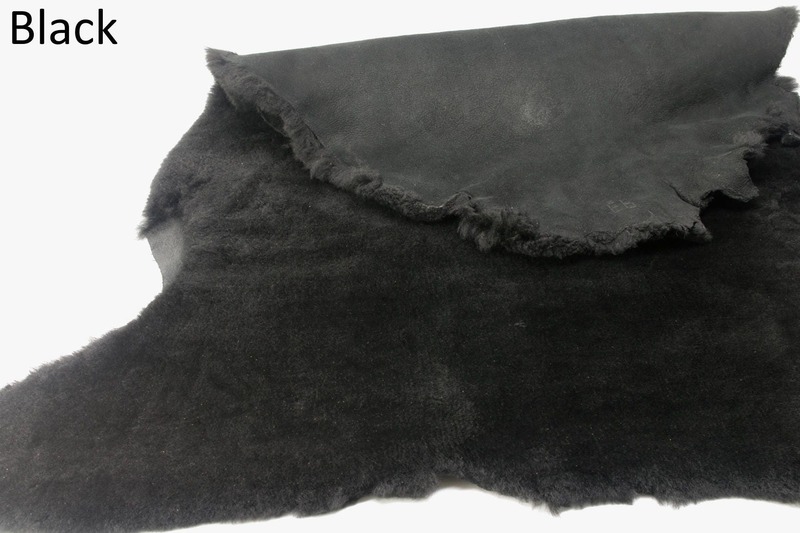 -BLACK is very dark black with a soft suede back. 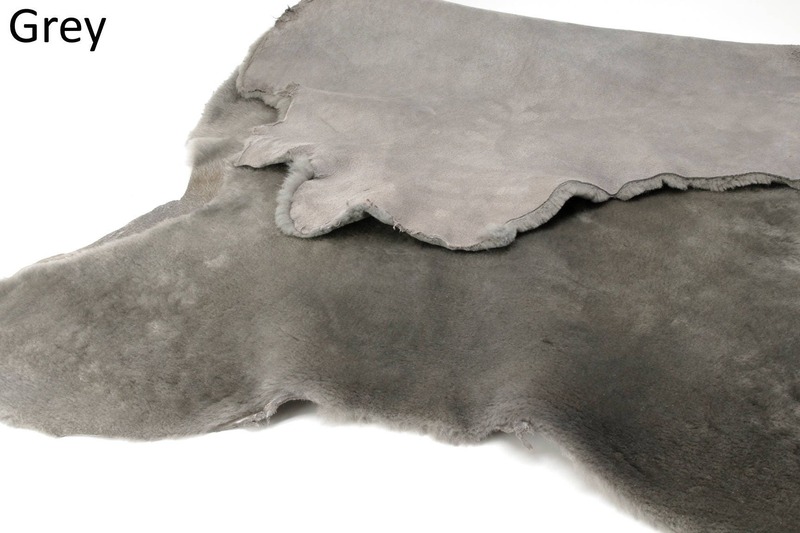 -GREY is a medium to dark grey fur with a soft suede back that is a shade lighter. 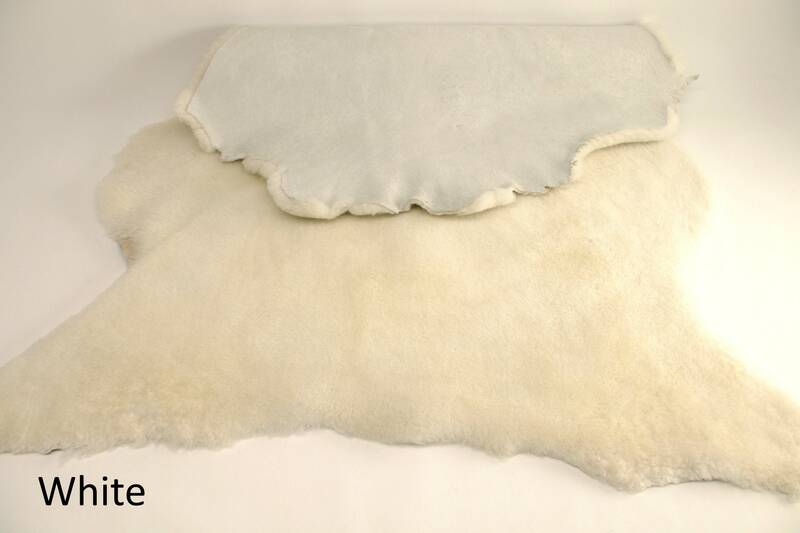 -WHITE is a pretty pure white fur, with a soft suede back that is slightly bluish-white in hue. -CREAM is a beautiful cream color (similar fur to the Bomber), with a light tan / sand color suede. -Kids crafts; make a little creature with it! The piece was far smaller than expected and had a hole in the skin and there was fur missing in one section, which basically made the piece unusable for my project. The seller argued that my concerns were "normal" for hides and offered to send me another piece, but I am under deadline and needed to find a faster substitute. The quarter piece I received measures about 10" x 20" (at the longest point) but has a U-shaped dip that doesn't allow me to use it for complete pattern pieces. At close to $60, I expected better quality and a much bigger piece. Also most folks don't calculate or think in terms of square feet and may find the description of receiving a quarter hide (later explained as 2.5 square feet) ultimately unhelpful (as I did), especially with the other quality and shape problems involved.